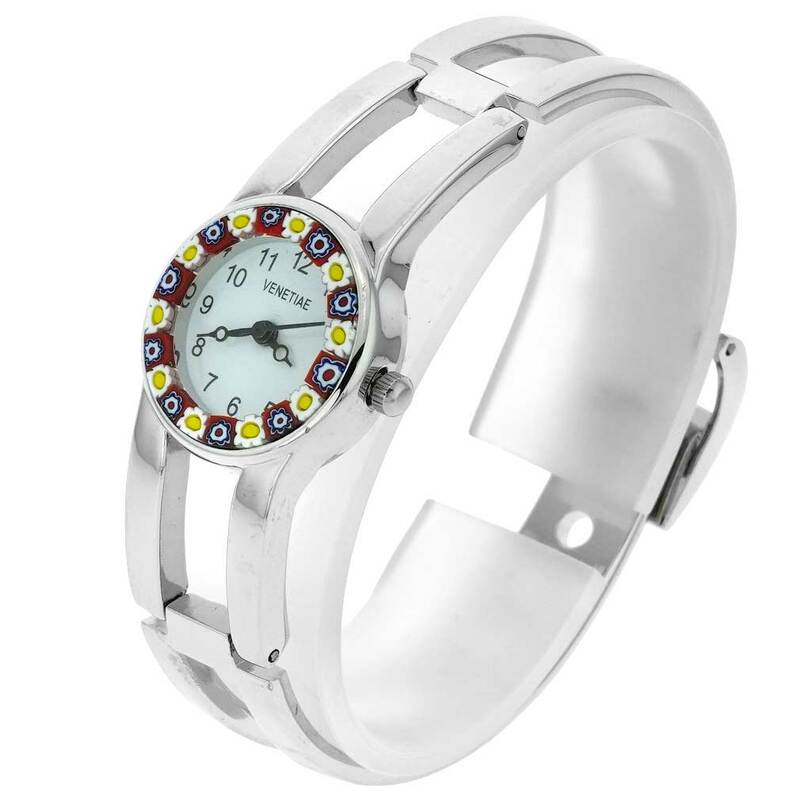 A unique accessory with Italian character and Venetian vibe, this beautiful Murano Glass watch features colorful face with handcrafted crystal in world-famous Millefiori glass-making technique. 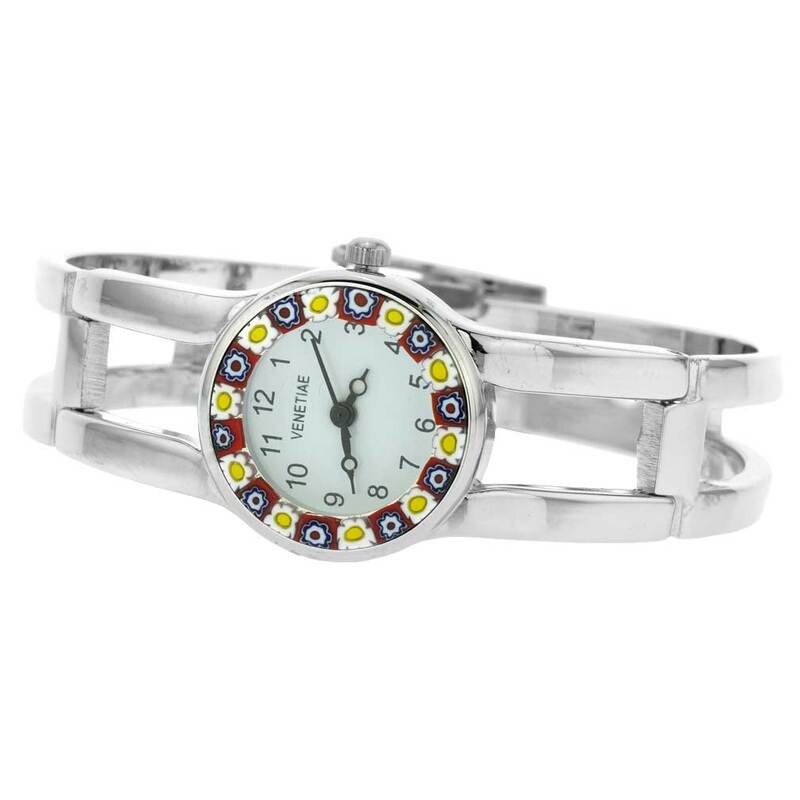 Rich pattern of mosaic flowers set against the stainless steel case and bracelet give this watch its look of contemporary chic and classic Italian style. 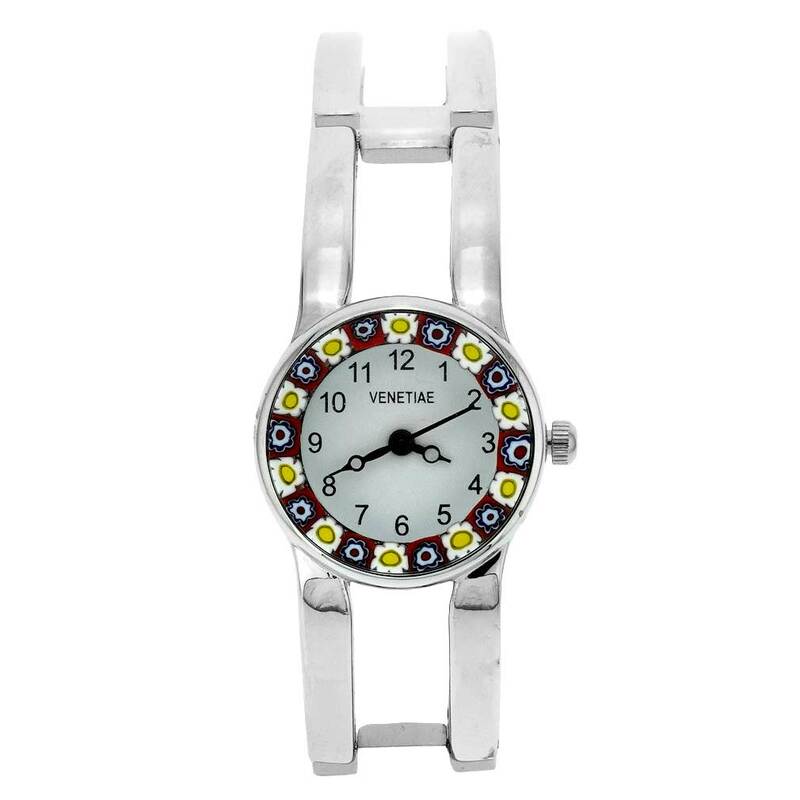 Our unique Murano watch is an elegant timepiece that will give your look a fine Venetian accent and works equally well for a casual day or a dress-up evening. Measurements: The face of this Murano glass watch measures 7/8 inch in diameter. The watch features a stainless steel case, elegantly designed dial and hands, and a high-quality Miyota 2035 movement made by Citizen. The back of the watch has a fine engraving of a gondola. 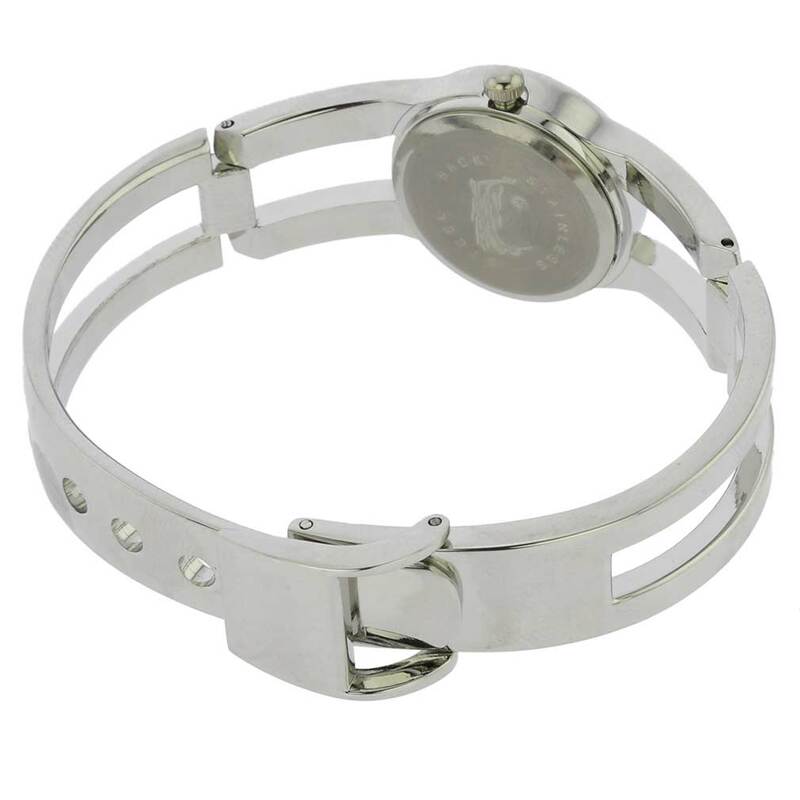 The attractive bracelet made of stainless steel is stylish and durable, and has a belt-and-buckle closure with several openings to accommodate a wide range of wrist sizes. The watch comes with a velvet pouch and a certificate of authenticity. 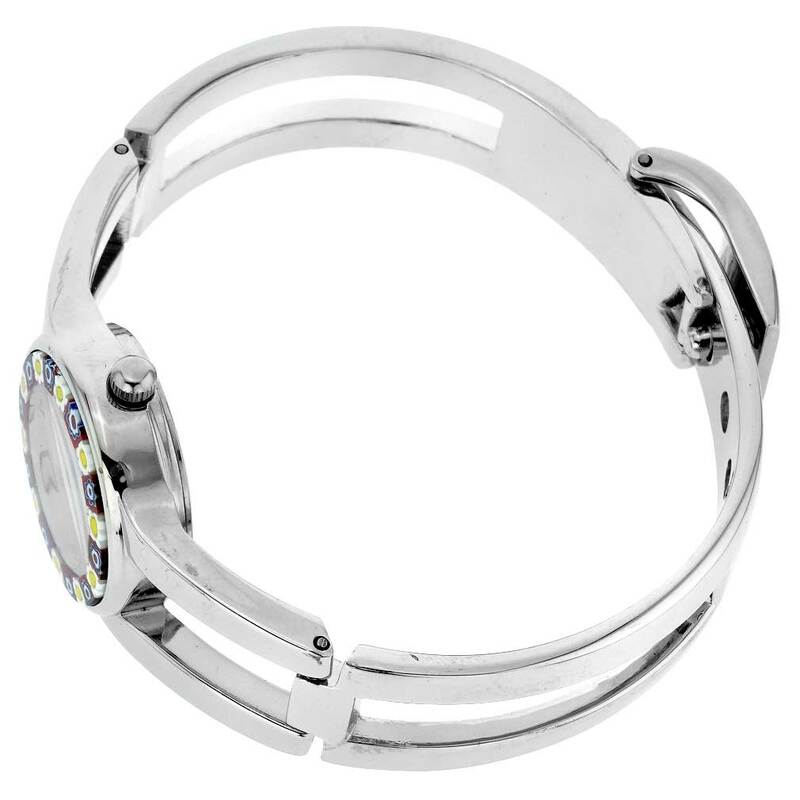 Because each Murano Glass piece is a unique work of art made by hand, slight variations of colors and patterns on the watch face are possible.